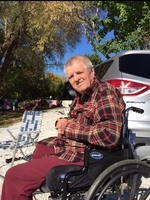 Provide comfort for the family of Paul Foster with a meaningful gesture of sympathy. Paul Arnold Foster, 80 of North Adams, MA died Friday January 25, 2019 at his home. He was born in Bennington, VT on May 4, 1938 son of Percy and Luella (Thomas) Foster. He attended schools in Shaftsbury and Manchester. Paul was last employed by North Adams Regional Hospital in its housekeeping department until his retirement in 1996. Before that, he worked at General Electric in Pittsfield. Paul enjoyed making magnets and coin collecting. Survivors include his wife of 45 years, Sandra M. (Toniatti) Foster whom he married on November 17, 1973 and two daughters- Angela Habel and her husband, Joseph of North Adams and Jammie Hubbard and her husband, David of Adams; and three sons- Steven Foster and his wife, Shannon of Clifton Park, NY; Thomas Foster and his wife Joann of West Palm Beach, FL; and Jason Foster and his wife, Sarah of Raymertown, NY. He also leaves 11 grandchildren-Joshua, Joel, Ryan, Brandon, Garrett, Graham, Amanda, Sabrina, Lindsey, Zachary, and Hallie and 5 great grandchildren- Madeleine, Morgan, Sadie Jo, Sawyer, and Harper and nieces and nephews. His son, Tarun S. Weed is deceased as well as two sisters Anne and Mae and a brother Arnold who died in infancy. The family would like to thank all of the caregivers at HospiceCare for their compassion and excellent care. FUNERAL NOTICE: The funeral for Paul Foster will be Saturday Feb. 2, 2019 at 1:00 PM at FLYNN & DAGNOLI-MONTAGNA HOME FOR FUNERALS WEST CHAPELS, 521 West Main St. North Adams. Burial will be in the spring in Southview Cemetery. A calling hour will be Saturday from 12-1. Donations may be made to St. Jude's Children's Hospital in care of the funeral home. To add to the Book of Memories, please visit www.flynndagnolifuneralhomes.com. 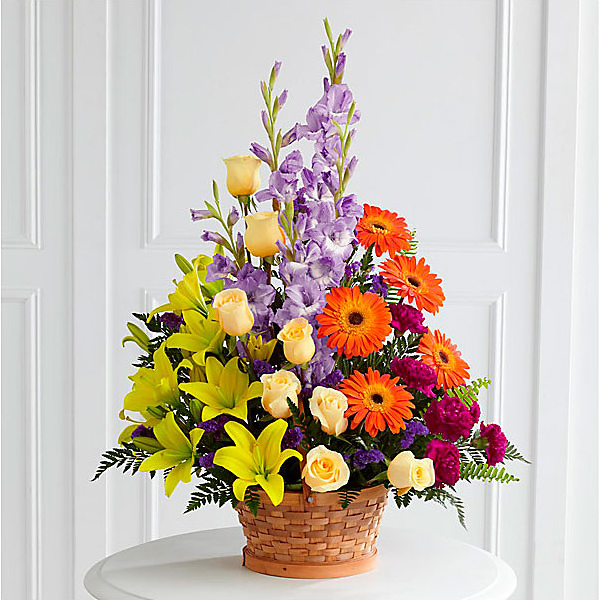 To send flowers in memory of Paul Arnold Foster, please visit our Heartfelt Sympathies Store. Jessie (Habel) Lavin and Bill Beer and Amy Lewitt have sent flowers to the family of Paul Arnold Foster. "The last enemy, death, is to be brought to nothing. "(1 Corinthians 15:26) This loving promise of god can help to comfort you during this time of sorrow. Soon, "those in the memorial tombs will hear his voice and come out. "(John 5:28,29) This promise gives you the hope of seeing your loved one again. My condolences." Jessie (Habel) Lavin purchased flowers for the family of Paul Foster. May the loving cherished memories of Paul comfort you in this time of great loss. With our deepest sympathies to all the Foster family. Bill Beer and Amy Lewitt purchased flowers for the family of Paul Foster. I’ll always love you Dad! Each day you strived to live, your body too weak to be. Your love will live forever, Since your heart has set you free. Now you walk so bravely, You feel the pain no more . Angel’s have come to guide you And bring you to heaven’s door. Memories I’ll hold so dearly, Your smile, warmed my heart. And through my life you’ll live, You’ve touched so many parts Hard days may be before me It’s all part of God’s plan. Why you had to leave this world We may never understand. You’ll be alone no longer, And you’d tell me “don’t be sad.” Please believe, you were no burden I’ll always love you dad !! My life has changed forever, Since the day you passed away. In heaven you’ll be waiting To meet me again someday. I'm very sorry to hear of Paul's passing. I used to work with him at the hospital in the late 90s when I was in high school. He lived near my grandparents and would drop me off there sometimes. A kind man and good human. My thoughts and prayers are with his family during this difficult time.